Yoder & Frey has announced a one-day closure sale that's expected to exceed $5M and takes place on Sept. 27. Being held in Friedens, Pa., the auction includes the disposal of all equipment following the closure of a local company, including a number of high specification, good quality and well maintained 20 ton plus excavators, dozers, scrapers, rigid dump trucks and a good selection of wheeled loaders. 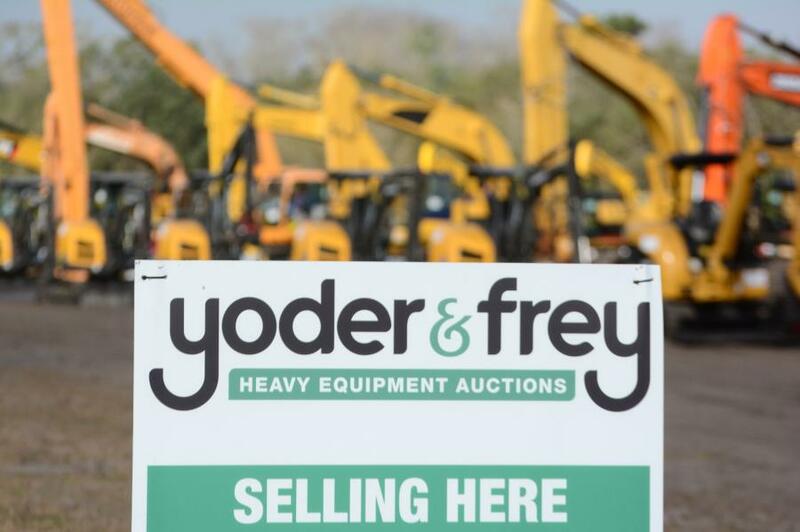 "These lots really do deserve a close look as while much of the equipment in this sale has been in use for the past 20 or so years, it has all been meticulously maintained and is being offered in excellent condition, given its age," said Peter Clark, president of Yoder & Frey. "It's not often that a quantity of used machines like these come back to the market and we were delighted to have been approached to oversee this stock disposal auction. We've now also opened the sale up to several other consignors, which increases the appeal of this event and will mean some excellent additional bargains will be on offer." Included in the auction are a number of wheeled-loaders including Cat 992G, Cat 988B and several Cat 980B/C and G's as well as other leading brands, D9 and D11 dozers, Grove cranes and crushing and screening plants. The selection of rigid dump trucks includes Cat 789B models from throughout the 90s as well as Cat 777 models from the late 80s through to late 90s models. Among the 20 ton plus excavators is a 2008 Hitachi EX1900-6 hydraulic model. Also being included in the sale are a number of supporting lots, including a number of unused 40.00/57 haul truck tires and a large selection of spare parts associated with the industry. "While we're extremely well known for our big annual sales like the Kissimmee Winter Sale that takes place each year in Florida in February, we are increasingly being approached to deliver disposal sales," Clark said. "With our growing network of regular bidders, being part of the Euro Auctions Group also provides Yoder & Frey with access to a global market place in which we can promote consignors equipment to over 150,000 buyers in over 95 countries. Our enhanced and free to use internet solution also provides buyers with a robust and secure online sales platform so they can confidently bid on whatever items interest them and know that we can then arrange shipment to wherever they are located." For information and to pre-register for this disposal auction, or for other upcoming auctions that include: Ashland, Ohio, now shifted to Sept. 26 (previously 20) and Kissimmee, Fla., on Oct., 25, potential consignors and all bidders should visit the Yoder & Frey website at www.yoderandfrey.com.